Inscriptions: Jesus permit thy gracious Name to stand / The feeble effort of an Infant's hand. / And while her fingers o'er the canvass move / Incline her tender heart to seek thy love. / And with thy people may she have a part, / And write thy Name thyself upon her heart. / Remember now thy Creator in the days of thy youth. / Marty Calver Aged. 9 Years / Halesworth 18?? 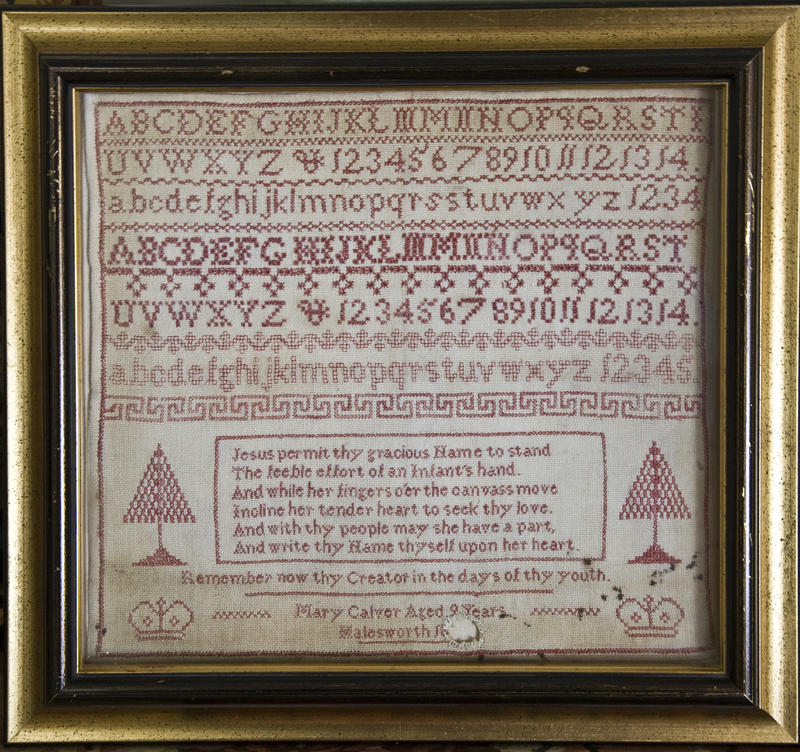 (Note: many stitchers would remove the date so that their age in later years would not be known). Predominant Motif: 4 alphabets: each with J and U, some double letters, two ampersands. Numbers 1-14, 1-4 and 1-14. Various cross bands. At the bottom a tree and a crown on both L and R. Single cross stitch border all four sides.